Every major automaker gets their turn to suffer from massive recalls once in a while. So now it's Honda's turn. But is it possible that thanks to the apparently high cost of fixing airbag defects, Honda now has higher warranty costs per vehicle than GM? When Honda Motor Company Ltd. released its annual report last Friday for the fiscal year ended March 31, 2015, it included some shockingly high warranty expenses that we need to examine in detail. Everybody knew the airbag replacements would be expensive. But it's only now that we're seeing exactly how expensive the recall might be. Since this is the beginning of a long holiday weekend for close to 80% of our readers (it's the Fourth of July celebration in the U.S.), and they won't be in the office until Monday to read their newsletters, we figured it's the perfect time to take a deep dive into the warranty expense reports of a non-American company. Basically, what we found is that when you look at warranty cost per vehicle, Honda is now setting aside more per car sold than General Motors Co., and almost as much as Toyota Motor Corp. By our calculations, Honda is now setting aside $571 per vehicle, against $637 for Toyota and $549 for GM. But let's not get too far ahead of ourselves. First we have to do some math. Let's begin with some details about the Honda product line. The company segments its product sales revenue figures into three top-level categories: cars, motorcycles, and other. And it provides figures for both units sold worldwide and for total revenue, making a calculation of average selling price per unit somewhat straightforward, at least for the cars and motorcycles. In Figure 1, we're taken the reported annual figures for these three categories of product sales for the last 13 fiscal years, over a period beginning on April 1, 2002 and ending on March 31, 2015. The figures are denominated in their original currency, which is of course Japanese yen. And for brevity, we're sticking to the fiscal year labels rather than transposing the data into calendar years. Of course, the value of the Japanese currency fluctuates over time. Lately, it's been weakening, which means more yen per U.S. dollar. Since 2002, it's risen as high as 82 yen to the dollar and fallen as low as 133 yen to the dollar. Last year, though, a billion yen was worth roughly US$8.33 million, so Honda's 11.77 trillion yen in product revenue last year was worth roughly $98.1 billion in U.S. dollars. But because the yen weakened so much recently, fiscal 2014's product revenue figure of 11.14 trillion yen was actually worth a bit more in U.S. dollars than was fiscal 2015's 11.77 trillion yen. That's right: Honda's worldwide product revenue went up in yen but went down in dollars last year. However, that doesn't matter at this point in our calculations. We'll make the conversion into dollars later. What matters right now is that in fiscal 2014, cars accounted for 82.3% of product revenue and motorcycles accounted for 14.9%. In fiscal 2015, the car share fell to 81.6% and the motorcycle share rose to 15.7%. All other manufactured products, which we have labeled other but which includes everything from generators to snow blowers, accounted for the rest. Long term, the car average is just a little above 82%, as can be seen in Figure 2. What we've done here is to take the raw totals from Figure 1 and set them to equal 100%. Once again, the original data is in yen, so foreign exchange fluctuations don't affect the calculations. Basically, it shows that 82% of Honda's revenue comes from car sales. And it shows that this ratio is relatively stable over time. This proves that although Honda also makes lawn mowers, snow blowers, boat engines and dirt bikes, it's predominantly a car company. Over the past 13 years, around 82% of its product revenue has come from what the company itself identifies as its "Automobile Business." Later, we are going to make an assumption that is probably not true. We're going to assume that because 82% of Honda's product revenue comes from cars, then 82% of its warranty expense also comes from cars. But we don't know that for sure. It could be 80%. Or it could be 85%. Or it could have been 80% but now it's 85% because of the airbag expenses. We just don't know. Each company provides just one set of warranty expense figures per year for all their products sold worldwide. Anything else is a guess. But before we do any more guessing, let's make a chart of two other needed metrics. In Figure 3 we've listed the reported number of cars that Honda sells per year (right axis) and the average selling price in U.S. dollars per vehicle (left axis), calculated by dividing the car revenue in Figure 1 by the units sold in Figure 3, and multiplying the result by the prevailing yen-dollar exchange rate from each year. Long term, the average selling price is just a little below US$22,000 per car -- just a little bit lower than the average selling price in fiscal 2015. And the number of units sold worldwide has ranged from a high of 3.93 million in fiscal 2008 to a recent low of 3.14 million in fiscal 2012. Sales last year came in at 3.51 million units. Therefore, this chart proves two more assumptions. First, Honda's car sales are fairly stable, remaining within a fairly narrow range for 13 years. Second, their average selling price has gently risen over the same time period, with the most recent price being well within the long-term range. In other words, neither of these metrics is in chaos. And neither of these metrics can be blamed for soaring warranty costs. In Figures 4 and 5, we're going to detail the amount of claims and accruals Honda reported for each of the past 13 years. The yearly totals are taken straight from Honda's annual reports. But we're going to fictionalize them in two ways. First, we're going to convert the amounts that Honda reported in yen into U.S. dollars, based on the prevailing exchange rates of the time. And second, we're going to assume that warranty expense occurs at the same rate across the entire product line. In other words, because cars are 82% of sales, they're also 82% of claims and 82% of accruals. We know that's not true, but we don't know what figure would be true. Is it really 80%? Or could it be 85%? We don't know. What we know is true is that Honda reported 157 billion yen in claims paid last year, up more than 50% from fiscal 2014 levels and more than twice as much as was paid in fiscal 2013. And that represents a fast-rising cost. However, in Figure 4 we're converting that bill into U.S. dollars. Therefore, the rising dollar makes the recent year-to-year increases look less severe. So that 50% increase in claims when counted in yen is only a 29% increase when counted in dollars. The yen claims for all products rose from 104 billion to 157 billion. But our dollar claims estimate rose from $1.05 billion to $1.36 billion. And that's actually a bit lower than the $1.44 billion total from fiscal 2008. Now, here's the point where the guesswork starts. Because we estimate that Honda paid the equivalent of US$1.36 billion in claims for all products last year, and because we assume that the car-only bill was 82% of that total, we estimate that Honda spent US$1.13 billion last year worldwide on car claims. But let's emphasize that this is an estimate. We guess that 82% of Honda's claims were from cars, but it could have been more, and it could have been less. It's hard to say what the true cost was, because claims are paid to the dealer, in the local currency of the dealership's location. In other words, American dealers are paid in dollars, French dealers are paid in euro, British dealers are paid in pounds, and Japanese dealers are paid in yen. So the single figure that Honda reports in yen for total worldwide claims payments has already been distorted by fluctuating foreign exchange rates. However, this also gives us an opportunity to make yet another tenuous assumption. Last year, 54% of Honda's car sales were made in North America, while only 16% were made in Japan. Therefore, most of the warranty work on Honda cars was also probably done in North America. So it's safe to say there were probably more claims paid in U.S. and Canadian dollars than were paid in Japanese yen. Still, it justifies us denominating Figures 4 and 5 in dollars, because that is Honda's primary car market, and most of its warranty work is probably done in dollars. In Figure 5, we're using the same exchange rates and the same product sales data to create a chart for warranty accruals. For instance, we're taking the company's reported 295 billion yen in accruals made in fiscal 2015 and converting it into $2.56 billion in U.S. dollars, using an exchange rate of 120 yen to the dollar. And then we converted the fiscal 2014 total of 154 billion yen in accruals made into US$1.56 billion in accruals made, using fiscal 2014's average exchange rate of 103 yen to the dollar. Obviously, this chart does not include the 44.8 billion yen that Honda added to its warranty reserves several weeks ago to cover additional recall expenses that arose after it closed the books for this annual report. Honda is expected to file an adjusted financial statement that includes this additional charge. But again, as with claims payments, warranty accruals are a local matter. When Honda sells a car, it estimates the cost of its warranty in the local currency of that market, and sets aside that amount. In order to include each sale and each warranty accrual in the year-end figures contained in its annual report, Honda then converts all those local amounts back into yen. But the initial accrual is made in the local currency. So again, since North America is the company's top market, most of the accruals are made in North America, in dollars. However, again because of the yen-dollar fluctuations that happened from fiscal 2014 to fiscal 2015, the increase doesn't look as severe in dollars as it would in yen. When Honda's accruals rose from 154 billion yen to 295 billion yen, that was almost a doubling in a year. But because the dollar bought more yen in 2015 than it did in 2014, the accrual bill in U.S. dollars rose only 65%. Still, that's a big annual jump. So what we're saying is that Honda, because it sells mostly cars, and because it sells most of those cars in North America, has not been as impacted by its rising warranty expenses as its annual report figures would suggest, thanks to the strengthening dollar. Counted in yen, both the company's claims and accrual totals hit new record highs in fiscal 2015. But as Figure 4 shows, the latest claims total wasn't a record high if it's looked at in dollar terms. That's because the yen was 20% stronger back in fiscal 2008. Still, the amount of accruals the company made last year is quite concerning. Is it all from the Takata airbags? The company doesn't say. But it also doesn't list any other cause in its annual report besides "expenses related to airbag inflators." Now, let's express these changes in warranty costs as a percentage of total revenue. This is a standard warranty metric that requires no guesswork. We detailed the company's product sales in Figure 1. And we detailed its claims paid and accruals made in Figures 4 and 5 respectively. What we'll do is change the warranty expenses back into yen, and divide the expenses by the revenue to figure out a pair of percentage rates for each of the last 13 years. Figure 6 details the change in claims and accrual costs as a percentage of revenue since fiscal 2003. As this chart makes clear, the accrual bill for fiscal 2015 is unprecedented. While the claims rate is not at its highest-ever level, the accrual rate of 2.5% is at its highest level ever. This means that Honda is now setting aside the highest-ever share of its product revenue to cover warranty accruals and the cost of the airbag replacements. In fiscal 2015, Honda set aside 295 billion yen in accruals, against 11.77 trillion yen in product sales. That means its accrual rate was 2.5% last year, a big annual jump up from just under 1.4% in fiscal 2014. Or, let's put it a different way: Honda's warranty accruals rose by about 141 billion yen last year while its net profits fell by about 105 billion yen. In other words, rising warranty costs caused profits to decline. But here's yet another way to look at Honda's rising warranty costs. And this one puts it into terms that our American readers will readily understand once they get back to work next week. We know that more than 82% of Honda's revenue comes from cars, and we know that roughly half of those cars are sold in North America. Therefore, how much do the warranties cost on those cars? In Figure 7, we've answered that question, using all the assumptions, guesswork and estimates we've explained so far. We assumed that since most of the cars are sold for dollars by North American dealers, most of the warranty expenses are paid in dollars to North American dealers. So even though Honda keeps its books in yen, we'll express its cost per vehicle in U.S. dollars. However, we also assumed that warranty expenses arise at the same rate across all products, and that's clearly not true. And we assumed that all cars get the same warranty in every country, and all those warranties incur the same cost over their lifetimes. That's not true either. The warranties are longer in North America, and the cost of parts, labor, and taxes is higher in Europe. But in the spirit of the Fourth of July, let's assume that all cars are created equal. Again, it's clear that Honda's warranty costs surged last year. When you take the company's total claims payments and spread it over the number of cars sold, it works out to a claims cost of $303 per unit. But the big surprise is the $571 bill per car for warranty accruals, up from $346 in fiscal 2014. We should note that the actual amount of claims per vehicle can never be accurately calculated by an external observer. First, not all claims for a given vehicle occur in the same fiscal year as the vehicle is sold. Second, some warranties expire on mileage alone, thanks to heavy usage. And some are wrecked. None of these data points are disclosed externally. However, a warranty accrual is made at the time a vehicle is sold, based on the best guess a company can make regarding that warranty's lifetime cost. granted, some of the additional airbag recall expenses announced by Honda in 2015 are for older vehicles. So it's not really setting aside $571 for every 2015 vehicle. How Much Is From Recalls? In reality, it might be setting aside $500 per new vehicle sold and $71 per old vehicle subject to recall. The recall covers approximately nine million driver-side airbags and about 9.2 million passenger-side airbags, the company said. But it didn't say how many will actually be brought in for repair, or how many vehicles need one, the other, or both airbags replaced. So anything we said about expected cost per old vehicle would be a guess. Nevertheless, these new costs per vehicle erase any cost advantage Honda once enjoyed over its competition. Honda has now almost the same warranty cost per unit as Toyota, and slightly more than GM, even after their respective recall fables. So here's the big headline, buried as the last sentence of this holiday-week newsletter: Honda no longer has the lowest warranty costs in the industry. Make sure Groupon deals don't exclude warranty protection. G.M. Pollack & Sons closes all its jewelry stores; warranties are void. Great grandmother asks TV station for help with Sears home warranty. Permit issuance test program intended to protect new home buyers in Ontario. Newark NJ partners with Service Line Warranties of America. Current and former Microsoft executives discuss Xbox launch history. Apple's new warranty will replace your battery before it's half-dead. Family's ordeal shows home warranty pitfalls. Why NHTSA is more defective than the defects it investigates. GWSCA announces keynote speakers for annual conference in Chicago. Survey finds over 77% of UK drivers never bought an extended warranty. Acura MDX recalled to fix loose bolt found through warranty data analysis. New Jersey files fraud complaint against Stanley Warranty dba Stanley Safe Club. Casper sells mail-order mattress backed by 10-year warranty. John Lewis to sell Vodafone contracts and Apple iPhones with 2-year warranties. NIADA Certified Pre-Owned Vehicles Program helps sell cars online. Penny stock Alexandria Advantage Warranty Co. gets pumped and slumped. Car warranties protect you from having to pay unwelcome repair bills. Protect purchases with warranties and insurance, advice column suggests. Sprint stops honoring 12 month warranty on non-branded Sprint accessories. Tata launches online/brick-and-mortar retail outlet that also offers warranty services. Hidden warranties can help with costly repairs. Shell Lubricants India launches 15-year engine warranty for its motor oil. One Aviation gives the twin-engine Eclipse 550 a 5-year/1,000-hours aircraft warranty. Two city employees accused of pocketing extended warranty funds and buying an ATV. SmartTruck Systems announces lifetime warranty on aerodynamic truck components. Online retailers often fail to post warranty information, survey finds. Sony says PS4 is too infested with bugs and dust to fix under warranty. Dealertrack Technologies says dealerships should introduce F&I online. Safeware to administer furniture protection plan for Weekends Only. Former AIG chief Hank Greenberg to appeal no damages ruling in bailout case. Telekom Slovenije offers monthly insurance service for mobile phones. Reportlinker publishes $4,800 warranty management systems market analysis report. Aver Inc. looks to software to enable warranties on knee replacements. Cox Automotive to acquire Dealertrack Technologies for $4 billion in cash. CHW Group dba Choice Home Warranty to pay New Jersey $779,913.93 in restitution. Unclear rules on warranty services complicate Japanese insurance market. Honda Marine offers 7-year warranty on outboard engines. Clarks shoe store chain's lifetime guarantee on socks has unraveled. Canadian Solar upgrades power performance warranty on photovoltaic modules. FTC clarifies anti-tying prohibition of Magnuson-Moss Warranty Act. Honda Motor Co. takes 44,800 million yen warranty charge for airbags. FTC decides to retain existing Magnuson-Moss rules with limited modifications. Dallas City Council can't get out of Service Line Warranties of America contract. Assurant Inc. will exit the health insurance market by the end of 2016. John Wesley Clark pleads guilty to $576,000 warranty fraud. FCA recalls Fiat 500e to fix cruise control. CarMax pays another Range Rover extended warranty claim for blogger. How to teach homebuyers the ins and outs of home warranties. Comparing warranty and damage protection plans for smartphones. Dealers in Qatar asked to check translations of warranty terms & conditions. American Auto Guardian appoints Hari Subramania as CFO. 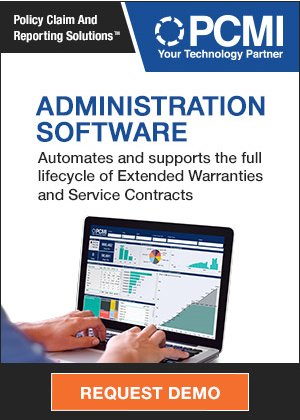 Smarter warranty registrations produce better customer marketing data. Singapore car dealer told to honor warranty despite dispute. AmTrust Financial Services gets "Strong Buy" rating from Zacks Investment Research. Thor Industries sees lower warranty costs and higher gross profit margins. Navistar keeps warranty expenses low, reduces net losses. Frost & Sullivan report says big data can help truck makers reduce warranty costs. M.D.C. Holdings subsidiary wins award for customer satisfaction and warranty services. Great Falls community reacts to news of Asurion call center closure. Former GM CEO Rick Wagoner to be questions about recall delay on Sept. 2. Pennsylvania files suit against Guardian Web Co. and others over service contract refunds. GWC Warranty hosts Elite Dealer Council meeting at its headquarters. Why just sell a jet when you can also sell service contracts? AUL Corp. unveils Absolute suite of vehicle service contract products. HomeLife Warranty Protection agrees to use Home One Warranty software. Sewer Line Warranties of America pays Dallas a $450,000 brand license fee. Unhappy home buyers complain about Tarion Warranty's compensation tribunals. Chrysler powertrain warranty reduction could help sell extended warranties. Chrysler cuts U.S. powertrain warranty from 100,000 miles to 60,000 miles. Dealer explains the real value of buying an extended warranty for an RV. Mechanical breakdown insurance costs and benefits compared. Service Contract Industry Council reminds consumers of the benefits of a vehicle service contract. CNH Industrial's Saskatoon plant cuts warranty claims by 90% on major products. FTC affirms consumers' right to go to court over warranty disputes. NATM Buying Corp. taps New Leaf Service Contracts for extended service program. Evergreen Underwriting Group renews agreement with McCusker & Company Inc. Wooden baseball bats shatter but aluminum bats have 1-year warranties. Report pegs global warranty management systems market at US$10.55 billion in 2013.